A home warranty is basically an insurance policy to cover aspects of your home that traditional homeowners insurance won't cover. By protecting major home systems and appliances, a Home Protection Plan or Home Warranty can help make buying or selling a home a more rewarding experience. Coverage for unexpected repair or replacement costs of many of your home's major systems and appliances. Convenience with access to our network of local certified contractors through our service representatives available 24 hours a day, 365 days per year. Budget protection by only paying a nominal service fee per trade call in most situations. Competitive edge for a faster sale. Potential additional negotiating power to sell at a higher price. Here is a list of home warranty vendors. It is important that you compare coverages and levels of service. Annual premiums generally range from $300 to $450 per year. There will be additional service trade fee (deductible) of 50 to 100 dollars per service incident. Most companies do not let homeowners combine two repairs with one service trade fee. For example, if your electrical switch needs a repair and kitchen sink is clogged, you will have to pay the service trade fee twice. Homeowners are encouraged to read their Home Warranty Contracts so they may learn and understand how the home warranty works. 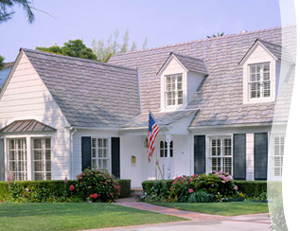 What do Home Warranties usually cover? Basic coverage includes plumbing, electrical, heating systems and major appliances such as refrigerators, dishwashers, and ovens. You can also request coverage for air conditioning systems plus coverage for a pool or spa. Many companies charge additional coverage for appliances such as clothes washers and clothes dryers, microwave ovens, etc, which are generally not covered (unless a deluxe package has been ordered). Buyers should read the home warranty contract carefully to understand coverages, limitations, and exclusions. How do I compare Home Warranty companies? Cost is not the only factor -- coverage is also vital. Check to see what items will be covered under a basic warranty and what additional items are covered under a deluxe plan. Response time is also very important, especially when dealing with a problem in a tenant-occupied home. If there is a considerable delay in getting a service provider to a home, it may well cost some good will with your renter! Check the Better Business Bureau (BBB) for consumer complaints. Some companies may refuse to cover an item, claiming pre-existing condition. Others have less control or oversight over the service people that they send. Pass on any company that has an excess of consumer complaints and always report to your home warranty representative if you experience poor service form their service provider!